Because 3D paper sculptures are so popular with makers, here are new and appealing designs by Éric François, the low poly model creator at Ecogami. What a great way to relax via crafting and have something fun to display as the result of your efforts. Did you know that the Easter bunny hatches from an egg? It does in the world of Ecogami! In the past I've featured summer-themed low poly models and festive paper craft models for the holidays.... I find it satisfying to get ahead of the seasons by having decorations at the ready. This little guy is pretty darn cute and if you're ever in need of a mask, you too can be a koala! Time and patience are requirements while constructing a model. Choose a project and plan to enjoy the process no matter the time it takes. 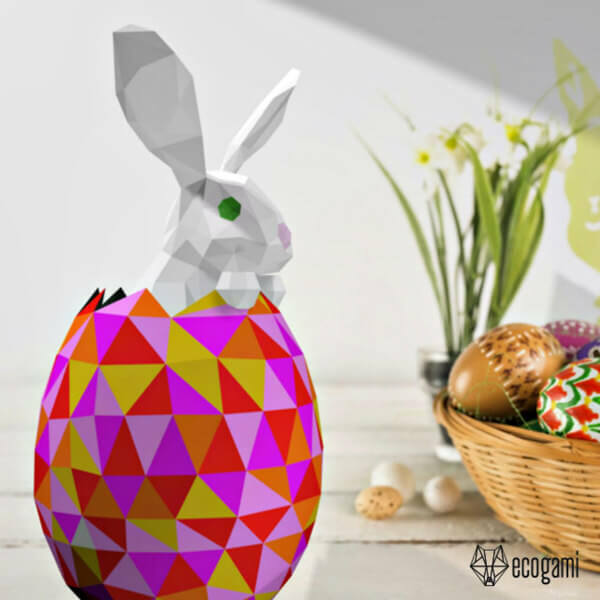 Like many who have reviewed Ecogami templates, chances are you'll feel yourself unwind while you craft. And when you are finished you'll have the best sense of accomplishment. I always enjoy featuring my Australian friend Licia Politis's annual entry into the Sydney Royal Easter Show quilling competition and this year is no exception. 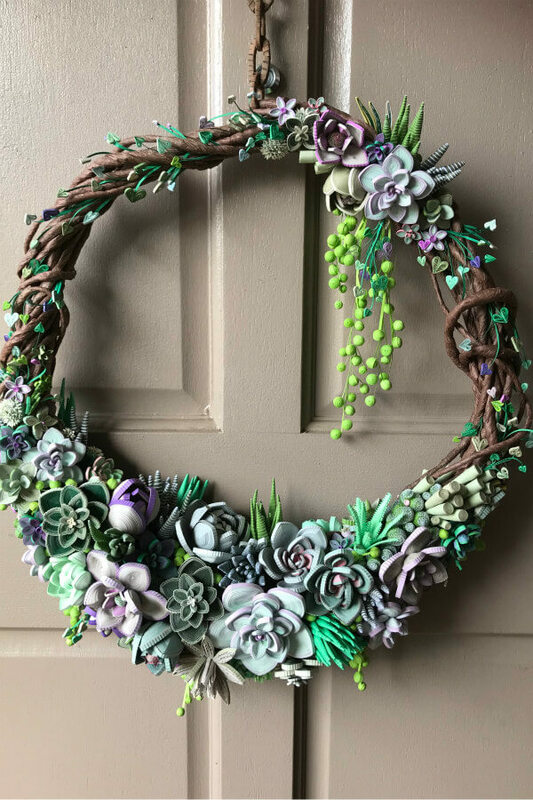 Have a look at the gorgeous paper succulent wreath she created for the 2019 show that takes place April 12-23 at the Sydney Showground. Competition winners will be announced this Wednesday evening at the Sydney Royal Arts Preview. [Edit: The wreath won the Frances Binnie Award and is on display in the Showcase of Excellence! This is the first time quilling or paper art of any kind has received the prize.] For those of you who are lucky enough to attend, you'll have a chance to see all of the entries throughout the show, as well as watch a quilling demo on April 23 from 9-5 that will be presented by members of a local quilling group. 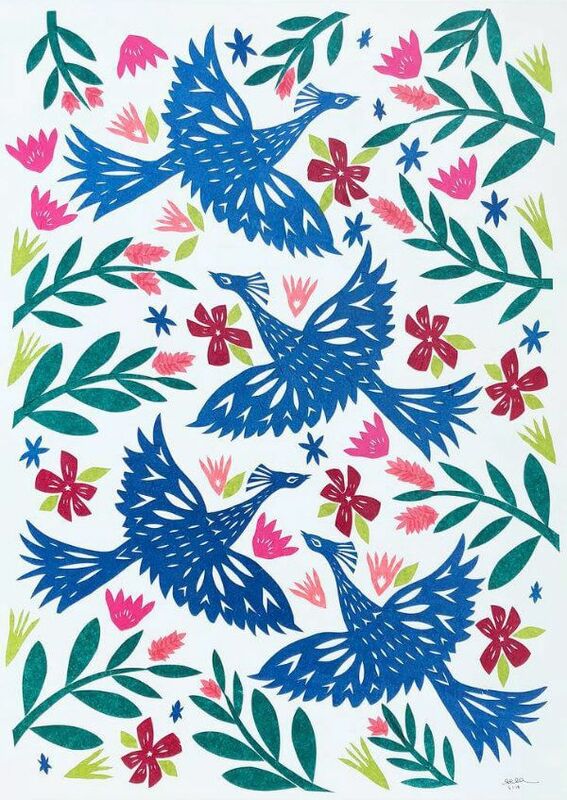 One glance at the vibrant paper cuttings by Stacey Elaine and I was smitten. She has developed her own lively style and technique for creating an array of wild animals and foliage from simple tissue paper and turns her art into appealing wall decor. Each colorful piece is capable of standing alone, yet they are powerfully cohesive as a grouping. As I said to Stacey when I wrote to ask if she would like to be featured, "I think you're onto something very special!" As for her process, she hand cuts layers of tissue paper and adheres them to 300 lb hot press watercolor paper with ordinary Mod Podge Matte... but it's safe to say her work is far from ordinary! While Stacey currently offers original framed art and prints, I can easily picture the designs on wallpaper and soft goods too. You can watch her work on Instagram.